The campground does not accept reservations. Camping is on a first-come, first-served basis. All guests are limited to a maximum stay of 14 days within a calendar year. Payment can be made with exact cash or credit cards. Payments are accepted at the paystation in front of the campground office. Guests must pay for camping spaces according to the fee schedule. 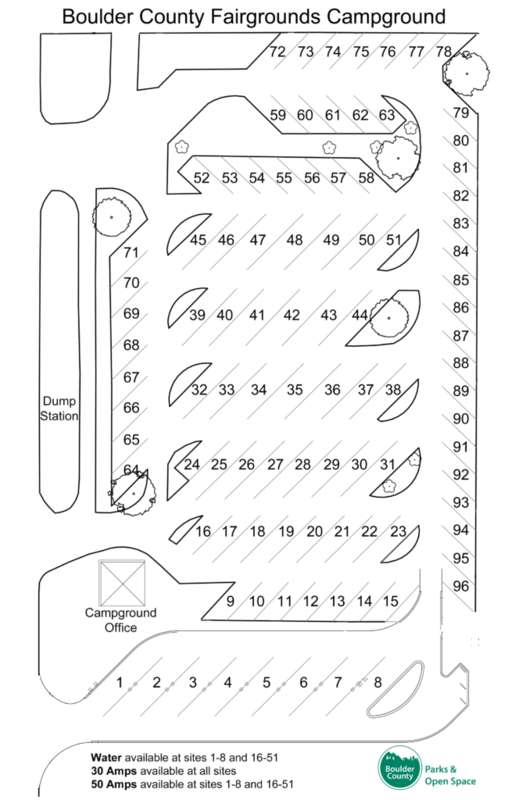 If additional parking is needed, consult with campground host. Payment must be received by 10 a.m. or within an hour after arrival to the campground. Checkout time is 10 a.m. the morning following a paid night’s stay. No one under the age of 18 will be allowed to rent a space without an adult. Quiet hours are from 9 p.m. to 6 a.m. Please respect other campers. All trash must be properly disposed of in the receptacles provided. Grey and black water must be dumped at the dump station. Livestock and horses are not allowed in the campgrounds at any time. Do not park in the “pull throughs” next to your designated camping spot. Children and pets must be supervised and under control at all times. Pets must be on a leash at all times. Guests are expected to clean up after their pets. Restrooms and showers are secured for registered guests only. All RVs, campers and related vehicles must be legal. No modifications or major repairs shall be conducted while in the campground. Violations will incur a minimum $300 fine and/or eviction. 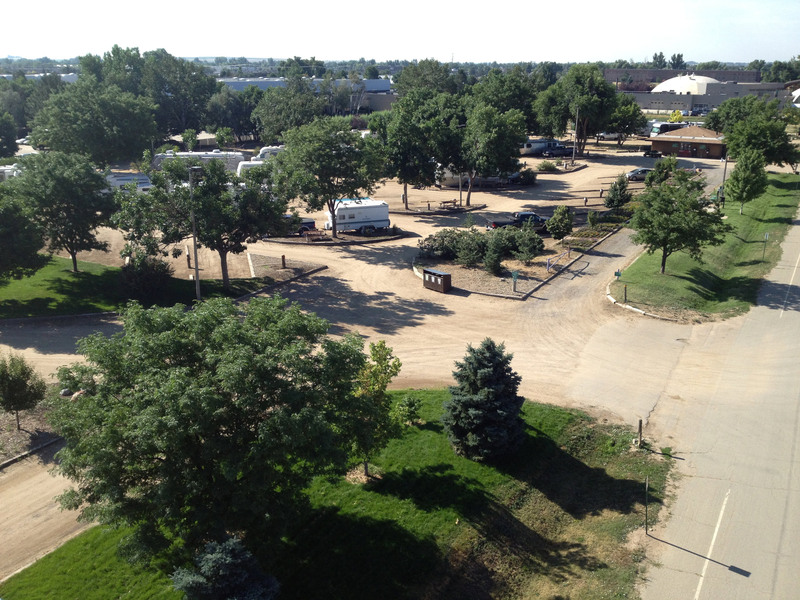 The Fairgrounds campground is the only open space property that allows camping. Camping at all other open space properties is prohibited. Information about camping on other public lands not managed by Boulder County can be found at Recreation.gov.